The Armagh was established and built in 1994 and is owner managed and run. Set in two acres of indigenous *Fynbos in the unique village of Storms River, Tsitsikamma on the world renowned Garden Route, offers accommodation, a highly acclaimed all day and evening restaurant (Rafters) and a Country Spa. Spacious Air-conditioned en suite rooms and cottages flow from your private patio into our sprawling natural gardens. Spend two to three days, if you can, in this area; it’s an ecological wonderland, surrounded by stunning vegetation, rare birds, lush forests and mountains. We have six rooms and three garden cottages all en suite and air-conditioned: DSTV Satellite TV: Wall Safes: Tea/Coffee facilities: Bar Fridges: crisp Percale Linen: the softest Goose Down Duvets: Super-King Extra Length (easily converted to Twin Beds) with electric blankets for those cooler days, and oodles of cupboard space! Log fires in our three Garden Cottages make this an idyllic retreat for all seasons and a superb honeymoon choice. The unpolluted air and your adventure activities will guarantee a deep and peaceful sleep. Rafters eclectic Cape Malay fusion food is lovingly prepared with locally grown produce. Recipes have been handed down from past generations and are now combined with more modern twists. Rafters has become a very popular destination restaurant with overseas visitors from the surrounding Tsitsikamma Guesthouses enjoying fine wines and good food with us! NB Advance booking is advised in the Summer Season! (October to end April). Inside Rafters Aircon, soft music a friendly ambience and wines from the Robertson Valley will complete your experience. Our Garden Spa, offers both massage and beauty treatments including our high demand Express Manicure & Pedicures. Surrounded by nature, bird song and caring therapists, you will be soothed into tranquility and onto sundowners on your patio, by the Pool, or on our Fynbos Terrace. Storms River Village offers Treetop Canopy Tours, Black Water Tubing, Segway and our Package Offers can include these activities! Tsitsikamma National Park is a mere 10 minutes' drive away, Order a Picnic Basket and you’re ready for a day in this unique and stunningly beautiful Marine Park! Here the mighty Storms River flows into the sea and you may traverse the famous Suspension Bridge, continue up to the Look-Out Point and capture those awesome views of dolphins at play and in season the frolicking whales. The first day of the world famous Otter Trail, the Waterfall Trail, is not to be missed. Wear sturdy shoes/boots for this unforgettable hike! Approx. 3 hrs there and back. Bungee straight on the N2 Highway. You may watch or jump! Do it - don’t go home and be sorry later! Next stop Monkeyland, Birds of Eden, Elephant Sanctuary, Tenikwa Wildlife Awareness Centre. Armagh Eco-credentials: Grey water separation, Rainfall harvesting, Energy efficient bulbs and eco-cleaning products. 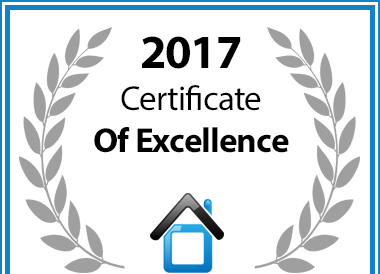 In recognition of exceptional service Armagh Country Lodge & Spa is hereby awarded a Certificate of Excellence.